Israel has been indulging in a sustained bout of fear-mongering since the Egyptian dictator Hosni Mubarak was toppled earlier this month. The ostensible aim has been to warn the international community that the lengthy “cold peace” between the two countries is on the verge of collapse. And if the Egyptian political system really does open up, which is still far from sure, the Israeli military may actually be a beneficiary — if for all the wrong reasons. The main value of the 1979 Camp David treaty to the Israeli leadership has been three decades of calm on Israel’s south-western flank. That, in turn, has freed the army to concentrate on more pressing goals, such as its intermittent forays north to sow sectarian discord in Lebanon, its belligerent posturing towards first Iraq and now Iran in the east, and its campaign to contain and dispossess the Palestinians under its rule. But since Mubarak’s ousting on February 11, Israeli politicians and generals have warned that democracy for Egypt is bound to empower the country’s Islamists, supposedly bent on Israel’s destruction. Last week, Benjamin Netanyahu, the prime minister, compared a post-Mubarak Egypt with Iran, saying Israel was “preparing for the worst”. Likewise, Gabi Ashkenazi, the departing chief of staff, stated that Israel was braced for the peace treaty’s cancellation as the “moderate camp” weakened. Officially, Tel Aviv’s concern is that, should the treaty be revoked, Israel will have to redirect much of its martial energy to preparing for potential hostilties with its neighbour, the most populous Arab state. Israel’s anxious declarations about the peace treaty, however, are largely self-serving. 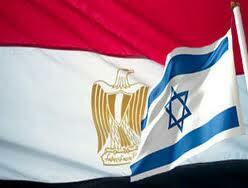 Peace has reigned between Israel and Egypt because it is so strongly in the interests of both militaries. That is not about to change while the Egyptian and Israeli general staffs maintain their pre-eminent roles as the praetorian guards of their countries’ respective political systems. Today’s close ties between the Israeli and Egyptian armies are a far cry from the earlier era of Gamal Abdel Nasser, who galvanised Arab nationalism in an attempt to defeat Israel, or his successor, Anwar Sadat, who almost led the Arab world to victory against the Israeli army in 1973. The Egyptian army receives $1.3 billion in annual military aid, making it the second largest recipient after Israel, which gets more than twice as much. In addition, military hardware has been lavished on the Israeli army, making it possibly the fourth strongest in the world — an astonishing situation for a country of only seven million. The munificence has continued despite the US financial crisis, and includes Washington’s effective donation last year to Israel of two dozen of the next-generation F-35 stealth fighter jet as part of its pledge to maintain Israel’s “technological edge” over its rivals in the region. Three decades of American money thrown at the two armies have made each a key player in their respective economies — as well as encouraging a culture of corruption in the senior ranks. In Egypt’s case, large sections of the economy are controlled by retired generals, from electrical goods and construction companies to the production of olive oil and medicines. The army is reported to own about a third of the country’s assets. The Israeli army’s economic stake is less ostentatious but no less significant. Its officers retire in their early forties on full pensions, and then cash in on their “security know-how”. Second careers in arms dealing, military consultancies or sinecures in Israel’s booming homeland security exports are all but guaranteed. Ehud Barak, a former chief of staff and the current defence minister, made millions of dollars from his security consultancy in a few years out of politics, for example. Corruption, endemic in Israel’s political culture, has rapidly seeped into the military. Some of it is visible, as demonstrated this month with the passing over of a series of candidates for the vacant post of chief of staff because of the skeletons in their closets. Some is not: current investigations into dubious activities by Mr Ashkenazi and his family are subject to heavy reporting restrictions. Nonetheless, both armies are revered by their countrymen. Even should that change in Egypt over coming months, the army is too strong — thanks to the US — to be effectively challenged by the protesters. Israeli hawks, however, are right to be concerned — on other grounds — about the “threat” of political reform in Egypt. Although greater democracy will not undermine the peace agreement, it may liberate Egyptians to press for a proper regional peace deal, one that takes account of Palestinian interests as the Camp David accord was supposed to do. Not least, in a freer Egypt, the army will no longer be in a position to play Robin to Israel’s Batman in Gaza. Its continuing role in the strangulation of the tiny enclave would likely come to an end. But in such a climate, the Israeli military still has much to gain. As Israeli analyst Aluf Benn has observed, Israel will use the Middle East’s upheavals to highlight to the US that it is Washington’s only reliable ally — the so-called “villa in the jungle”. Its show of anxiety is also designed to remind the US that a jittery Israel is more likely to engage in unpredictable military adventures.